An IC-781 graced my shack from mid-1993 until late 1998. I found that it was lacking in adjacent-channel selectivity on SSB, so I installed the "NATO" filter mod - FL-44A in lieu of FL-96. I also replaced the stock FL-102 with an FL-223 for narrow SSB. Then, I bought an "original" IC-756. The 756, with its DSP NR, outgunned the 781 + outboard NIR-12 on weak/noisy signals, and offered superior adjacent-channel selectivity with the FL-222/223 SSB filter pair installed. So I reluctantly let the "old girl" go. Whilst living in Florida, I was an NCS on the Icom Users' Net (formerly 14317 kHz, Sundays, 1700Z) for several years. At times, adjacent-channel interference became a severe issue, what with our frequency sandwiched between the "hot-spots" which used to occupy 14313 and 14322 kHz. The Icom Net has since moved to 14.316 kHz, to get away from the fourth harmonic of the TV colour-burst. Even with the "NATO" filter upgrade and the FL-223, the ACI and splatter would sometimes overwhelm the 781. I found that the IC-756's cascaded 1.9/1.8 kHz narrow SSB filters (FL-223/222), together with Twin PBT, did a better job of "pulling out" the desired signal than the IC-781. Another situation which frequently arose was trying to copy a check-in station running barefoot to an indifferent antenna; often, his signal was in the noise. I found that the DSP noise-reduction feature of the IC-756 often resolved these weak signals well enough for Q4 to Q5 copy, when they eluded the 781 - even with an outboard JPS NIR-12 audio DSP box. It should be noted that reciprocal mixing noise (a function of DDS spectral purity) is a very strong attribute of the IC-781. On 20m, with 10 kHz offset, the measured reciprocal mixing noise "numbers" for the IC-781 are 1 dB better (RF preamp off) than those of its competitor, the Yaesu FT-1000D, and 11 dB better with RF preamp on. The IC-781 uses the same DDS synthesiser chipset as the IC-275 family of VHF/UHF all-mode radios. In 2000, an IC-756Pro replaced the 756, and I found it even better all around. It even has a tuneable pre-AGC notch filter, unfortunately omitted from the 756. I then brought back an IC-756Pro II from Dayton 2002. The Pro II had significantly improved strong-signal handling as compared to the Pro. An IC-756Pro III replaced the Pro II in mid-2005. The Pro III is superior to the Pro II in many ways. Here is a comparison of the Pro II vs. the Pro III. In mid-2008, an IC-7700 replaced the Pro III; it is the receiver/exciter in my current station. There is no gainsaying DSP-based HF radio architecture. Defence suppliers such as Rockwell Collins, Harris and Rohde & Schwarz have been using DSP for years in their HF equipment. It is only in recent years that DSP chipsets have reached a price/performance level accessible to the amateur community. Radio architecture is now at the point where classical analogue designs are no longer cost-effective to manufacture, and DSP will only get faster and better. However, analogue radios (such as the IC-781) will still be available in the second-hand market for years to come. From the ham radio standpoint, the IC-781 was an accident of history which turned out very well indeed. Icom developed this radio under a defence contract; soon thereafter, the ham community "discovered" its incredible performance - way ahead of the pack at the time - and its unique features such as the Spectrum Scope, Dual Watch and Twin PBT. Those radio amateurs who could justify its (then) $5000 price tag bought every IC-781 available on the open market. Technology has moved on, now, and the "old girl" is discontinued - but many of these fine radios are still on active duty in government communications centres (and ham shacks) world-wide. I sold my then 5-year-old IC-781 in December 1998, when I found that the IC-756 outgunned it in weak-signal reception. The later serial number ranges (anything above 2500) are preferable; the newer the radio, the less likely it is to have heat damage on the power-supply (PI Unit) board, or CRT screen burn. My radio was S/N 2936, manufactured in mid-1993. 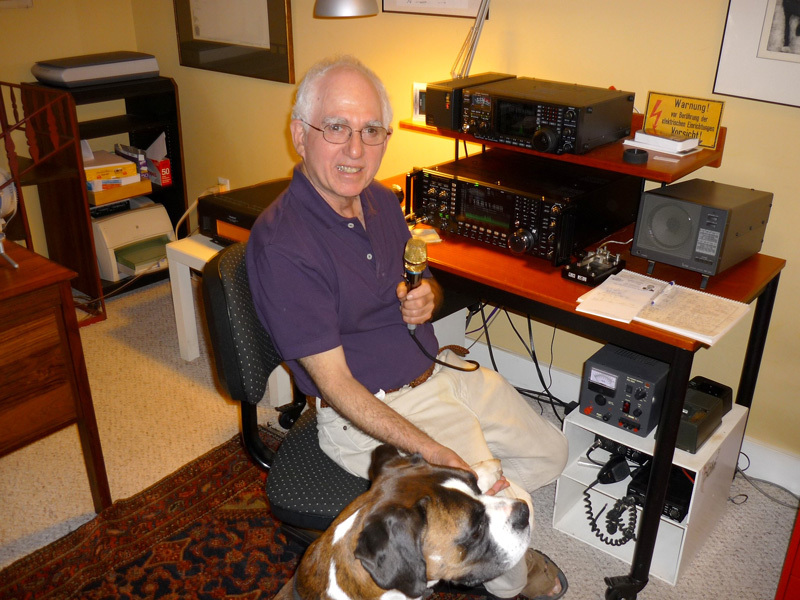 At the present time (2014) one should not pay more than around $2000 for a used IC-781. In 2001, a good friend of mine in New England paid around $2700 for a 781 in the S/N 2900 range. One should also consider that IC-781 parts have become very scarce. The CRT module, which used to cost $800, is no longer available, although replacement tubes can be had on the surplus market. The monochrome LCD display module used in the R-9000L will fit in the IC-781; it used to cost over $1000, is difficult to find and is no match for the old CRT in image quality. This does not take away from the superior reliability of the radio in its time; in the five years I had my 781, it never gave a lick of trouble. There have been no more than two or three service bulletins during the entire product life of the 781. The power-supply heat problem in the IC-781 is a matter of concern. The power supply uses a shunt regulator, and was designed for the Japanese 100V mains supply. When connected to 120V mains, the power supply dissipation increases by 44%. The heatsink was not designed for the additional thermal load; consequently, the power-supply area runs very hot. This can lead to component breakdown over time. Further reading. Download Traian YO9FZS' excellent article "IC-781 & IC-R9000 technical and maintenance issues". Read Refurbishing the Icom IC-781 Regulator Unit. There is a filter upgrade which I also posted on mods.dk It consists of replacing the FL-96 with an FL-44A, and the FL-102 with an FL-223. The FL-44A improves the adjacent-channel selectivity and Twin PBT operation, and the FL-223 provides a Narrow SSB setting. Vince Fedele K1VF has developed an excellent ALC modification for the IC-781, to eliminate the initial RF power spike on keying the transmitter. Download the PDF here. Copyright © 1994 - 2002 A. Farson VA7OJ/AB4OJ. All rights reserved.